My cinematic calendar didn't officially start anew in 2014 until early February when I saw The LEGO Movie in the theater and my goodness, what a way to kick off a fresh slate of films. So clever, so unique, so fresh and so funny, I have now watched that movie three times and up until about a week ago it held firm in my top 10 of 2014. I have seen roughly 110 releases from last year now, and the one that started it all, The LEGO Movie, sits at #11, and this early success felt like an omen for what proved to be a fantastic year in film. My first film of 2015 was The Wedding Ringer. Uh oh. I learned last year that it isn't fair to assume the worst prior to actually seeing a movie, because honestly I expected very little from The LEGO Movie based on the trailers and advertisements blaring on my television every few minutes and I was shocked to find a hilarious, heartwarming and quite brilliant work when I actually saw it. So while I obviously didn't expect much from The Wedding Ringer, you never know, right? Terrible. It's just a terrible movie. I was searching for laughs and yet I came up empty. I was hoping for some charm and yet I felt so cold. 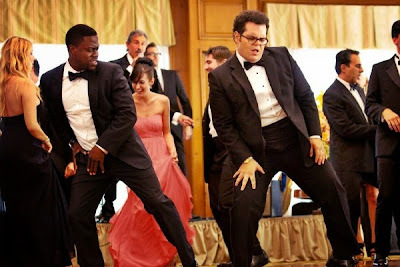 The Wedding Ringer is just recycled, lifeless material, a misguided pile of tropes that have already been done to death before, assembled together here in a way that makes it seem like they are selling the audience something fresh and clever. At the very least I would have hoped that perhaps some entertaining performances could have elevated the screenplay, but no such luck. Kevin Hart has mastered the art of playing Kevin Hart, but perhaps he should try something different for a change. I show more range as an actor when I call in sick to work. Kaley Cuoco-Sweeting is listed as an "actress" when you Google her, but I think that may be a stretch. 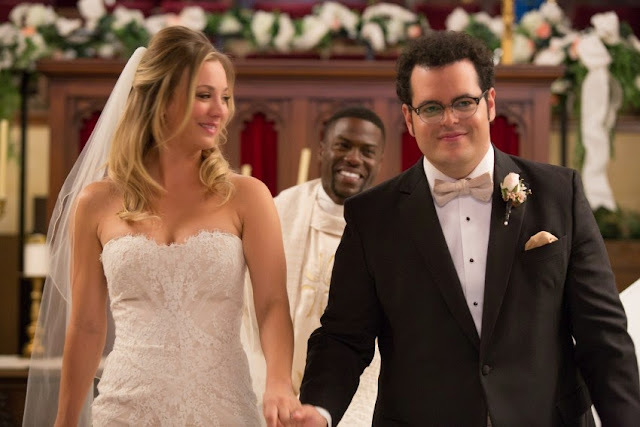 Her performance in The Wedding Ringer makes her about as much of an actress as I am an astrophysicist. It was painful to watch her force facial expressions and deliver lines with absolutely no charisma. I assume her being offered this role had a lot more to do with the fact that she is recognizable from the most popular television show on the planet and not because of any sort of captivating audition. I feel as if they could have found someone better for the challenging role of "hot girl who is surprisingly marrying Josh Gad", but I guess a lesser known face might effect ticket sales. Speaking of Josh Gad, he was the one I was hopeful of the most here because I like the guy and I think he can be funny, but alas he missed the mark as well. Although I will say, of the three he certainly came the closest to bringing some semblance of joy during the film, but really that's like winning a game of "How many fingers am I holding up?" against two blind people. 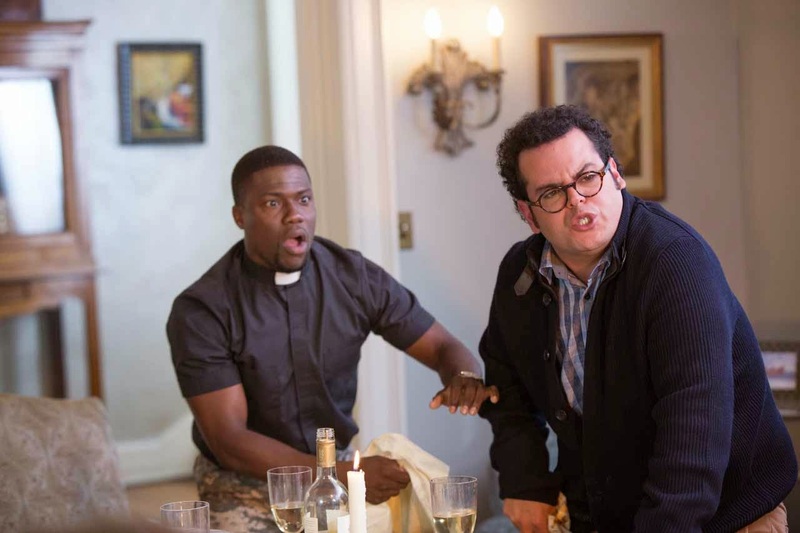 The Wedding Ringer is the first release of 2015 I have seen and it has a legitimate shot at making my list of worst of the year when all is said and done. Not a great way to start. [ Smiles ] Great review. I am even tempted to buy the DVD! Thanks Renard. That is a temptation I would advise you to ignore, haha. As i've said before did you think going into this it would be a good film? I kept an open mind Peter. I always try to. No, of course if I were to place a bet in advance I would have wagered money on it being bad, but you never know. As I have said before, I don't judge things differently based on expectations. I rate based on whether I thought it was good or bad. If the category was films that were "disappointing" than this would never be on it, because I never expected enough to be disappointed. I can't give it any credit for being awful simply because it was probably going to be awful. I still have to judge it equally, and it was awful. Has there ever been a film that got major critical acclaim or awards that you hated? Don't even get me started on The English Patient. That pile of crap.